Can you tell me a bit about the background for the story in the video? I met VONAVI (Andrei Ivanov) a few years ago through Vimeo. We eventually became good friends, and an opportunity to collaborate occurred when he finished his first album and asked me if I would like to direct a music video for one of his songs. I listened to the full album and found “Sunburst”, which is a powerful, beautiful, cinematic track with so many textural sounds and sections merged to craft a story. The music video was inspired by a homeless man I encountered on the streets of New York City, who was begging for spare change with his eyes closed. While encountering homeless people is a daily occurrence in NYC, the image of this man having his eyes closed piqued my curiosity as to the memories, feelings and potential life story this man was observing in his head. These curiosities inspired the storyline of “Sunburst”. How would you describe the purpose of the video? The purpose was to craft a story around this homeless character and place the viewer in his shoes, portraying the emotional conflict and mental images that could potentially circulate in his mind. But I also wanted to simultaneously spark a message of hope, abstracting the definition of the title “Sunburst” and using it as a metaphor for hope and the beginning of a new day. How was the collaboration between you and VONAVI (Andrei Ivanov)? Since we are friends, we had an easy and close communication. Andrei had a lot of trust in me, which gave me great freedom in the process of making the video, with checkpoints along the way. Since there was no demand of having him on the video, I was able to focus on the story and create this film. How was the production process? How long were the preparation and shooting days, what were your struggles, and so on? The discussion between Andrei and I started a year and a half ago, but the production process lasted around three weeks. We scouted for several nights, did a casting call, and had our pre-production meetings. The shoot happened over a weekend, with one night on the streets, and a day at a house. The main obstacle we faced was the weather, as we were forced to reshoot the sunrise sequence due to a cloudy day. After that, we spent a couple weeks editing and finishing. This music video had a low-budget, and so I wouldn’t have been able to do it without the group effort of the entire crew. I am extremely grateful to everyone who collaborated with me on this and to VONAVI for his trust. I noticed there was a “behind-the-scenes video” for the music video “Ultralife” that you made for the group Oh Wonder. Are there plans to make one for “Sunburst”? What do you think about “behind-the-scenes videos”? I wasn’t involved in the making of the “behind-the-scenes video” for the video “Ultralife”; it was produced by Oh Wonder’s management and shot by the talented Tim Toda. There was no possibility in doing one for “Sunburst”, as I was fully occupied with the video itself. Otherwise, I think “behind-the-scenes videos” are great, in order to see how the films are crafted and what the production environment is like, but they usually don’t show the difficult parts of the process, like decision-making. How important do you think a video is for the artist in general? I think they are very important. We live in a visual world and music videos are an extension of the artists, as a part of the artist’s brand. A music video explores the track further and sometimes can have a stronger impact on people when listening to a song that is accompanied by a film. Having said that, a music video is just one visual interpretation of a song, as every single person experiences a song in different ways in their imagination. Are you involved in any new music video projects? – How did this collaboration with Dani Buncher and Scott Simons come about? We met Dani and Scott at a party hosted by Rodeo Show and instantly connected. These two have a similar work-dynamic to our own, where they share equal creative responsibility on everything they do. This duality manifests itself in their sound, as well as in their writing and creative choices. When we sat down at Rostrum Records, it felt like we all had lived a shared experience, because of the deliberate and methodical nature of being a duo. – Considering the change in their relationship would you say the video is both about breaking up and staying together? And if so, how is this pictured in the video? Our concept focuses on the infinite possibilities of collaboration. We wanted to transcend the story of a breakup, and instead visually demonstrate how two individualities, when combined in harmony, can create something unique, and even powerful. Scott and Dani’s story reminds us that when we put aside ego, and nurture one another’s creativity, we pave the way for something more meaningful. – How did you generate the ideas for the visual design and the use of double exposure? Our approach was to strip away all the complexities that can accompany a traditional music video, and just focus on Dani and Scott as human beings. At the time we began concepting, we came across Political art in the era of German Expressionism, which often used its subjects as the boundaries of the canvas. We were inspired by this technique, and used it as a way to show how Dani and Scott were still a part of each other, despite their breakup. It allowed us to feature each as the other’s canvas, while simultaneously showcasing them as individuals. Working together with our cinematographer, Ryan Wood, and editor Hayley Harrison, we created a modernized style, emblematic of Teammate’s unique story. We tend to over-prepare as directors, which can be exhausting, but ultimately opens up the floor for some great moments of discovery on set. Scott and Dani come to the table with an explosive amount of energy, which allowed us to get right into filming. Subsequently, we got a bunch of ambitious “Super Bonus Round” wishlist shots, which you can especially see in the final choruses. The day wrapped, and there was this collective, “What? It’s over? ?” Needless to say, we’re looking forward to the next time we all get to create together. Best new artist of year at Grammy Awards, Chance the Rapper has released a new video “Same drugs”. It’s a sensible and beautiful video with lots of atmosphere. The style of Chance the Rapper is obvious but the video also reminds of the 70s with hazy photography, glitter and muppets. Don’t miss the ending – it’s magnificent! – How would you describe the video? 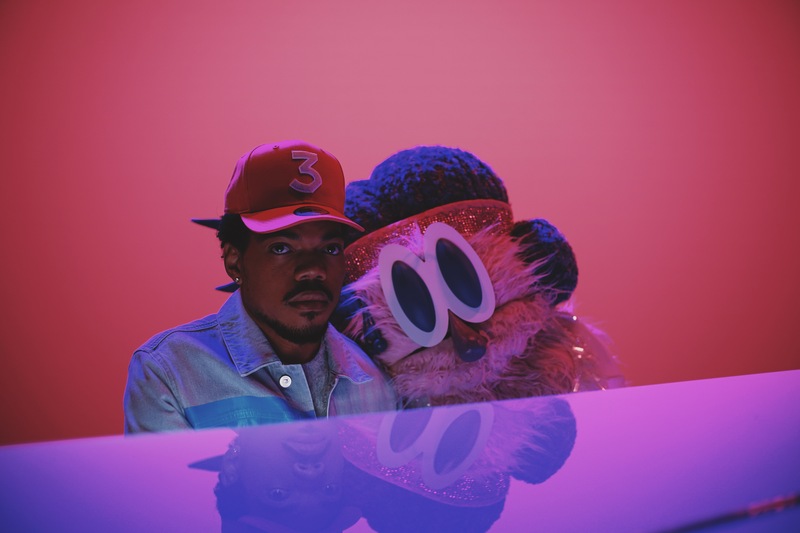 The video presents an alternate reality where Chance performs with a puppet on a Muppet-style show. At the end of the video it turns out that Chance is in fact the only human in a world of puppets. – How did the idea of having puppets in it come up? I saw Chance’s tour, which featured the performance of Same Drugs at the piano with the Lady Dame puppet. We thought it would be cool to film it as though it were on a show. – How involved were Chance in the making of the video? Very involved. Everything you see in it comes from ideas we collaborated on or from his team. He’s a man who knows what he wants. – The colors and the atmosphere is special. How were your thoughts concerning that? I worked with my DP Adam Newport-Berra on setting a color-palette. We were guided by the tones on the Coloring Book album cover. Adam’s work is always beautiful. – How was the process of the making considering time, crew and such? It was a great process. I’m lucky to work with great people. We had about a week to make all of the new puppets and then a day to shoot. Went a bit late into the night, but everything went quite smoothly. Watch The Johnsons ft. Bryce Vine new video and taste their delicious “Juice”. Funny, a bit twisted and very inventive video created by the duo Mccoy|Meyer (Eric McCoy and Justus Meyer). A nice mixture of horror and comedy. In one role we see MTV reality-famed Julia Rose. – How did you get the ideas to the video? Many of the ideas are grounded in Justus and I sitting around the office and one-upping each other. We tend to work well using the phrase, “yes, and what if…” We began with a loose theme for each of the nightmares (magical, goofy, murder room) and from there, ideas began to come out of the woodwork. For instance, the couple eating cake out of Bryce Vine’s head came from a weird dream I had, the latex gloves are the product of my visiting four dentists this summer (long story), and Partybear was born out of my love for cute fuzzy things that turn out to be deadly. The commercial world doesn’t offer a ton of opportunity to “go dark” so it was fun to explore our dryer side! – How involved was the band in deciding what the video should be like? The Johnsons were more involved than most artists typically are with the creative development. (Connor’s wife, Tess, did the production design!) Having the band so invested in the outcome meant they were willing to go above and beyond to get the shots we needed. (Chantry spent two very sweaty hours wrapped in cellophane, and the performance shots while tied to rope were no small feat!) It also meant that we were able to be more ambitious with our schedule, because everyone knew what was at stake, and gave us 100% on the first take. – How was the filming process? The filming process was ambitious and I’m incredibly proud of our team, who pulled it off with flying colors. There were so many “what if we tried…” moments from cinematographer David Charry, who pushed relentlessly to insure each of the five looks came out uniquely different from each other. We filmed for three days on a stage and at Dan Ackroyd’s Avalon Club in Hollywood. – Did it turn out as planned? We knew we had something that at least we would find funny, but I think everyone was surprised with how it actually turned out. This was, in large part, due to how editor David Andreini chose to blend narrative and experimental structure, which added an extra burst of energy to the cut. Were there things that didn’t go as planned? Sure (our live monkey got booked on another job the night before filming; a mouse trap shot a gummy bear into Clayton’s eye) but we rolled with the punches. All in all, this was an incredible team and one of my favorite projects to date. We are on the step to a change in music video creativity. Virtual Reality has made its entrance in music videos and we will see lots of videos made with the technique in near future. For those of you who have tried VR-device the special feeling of being inside is the big thing. In music video it’s easy to imagine what possibility this provides in experience music. Like being at a concert or inside a dream world where things float around you – together with the beat of the music. The first VR music video was the Japanese artist Kumi Koda’s “Dance In The Rain” which was published late October, 2014. You can watch it on YouTube as a 360-degree video or with a Oculus Rift-headset. Oculus Rift is a VR-device and other existing VR-devices are Samsung Gear VR and Google Cardboard. Soon to be released are HTC Vive and Playstation VR. In March 2015 YouTube added support for 360-degree videos. In these you can look around like you are standing inside the video. If you use a device you get the VR-feeling but you can also watch them on flat screen. First exclusive 360 music video was Noa Neal’s “Graffiti” released in March, 2015. And lots of attention was given to the 360-method when Björk released her “Stonemilker”. Specular Theory is a virtual reality production company in California. 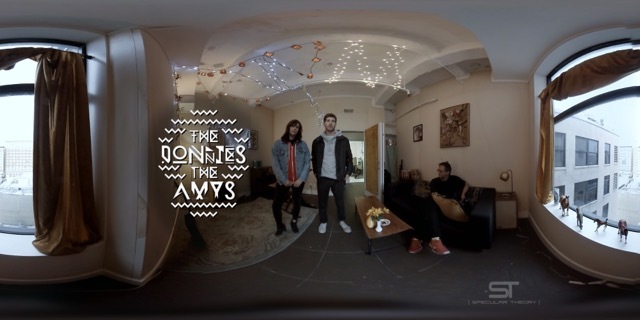 They recently produced the video for The Donnies The Amys ”Runaround” directed by Rose Troche. 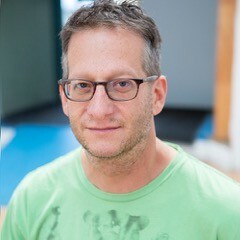 The CEO of Specular Theory is Morris May, longtime expert in special effects for movies. MusicVideoMania got an interview with him in which he gives us an understanding of the changes and circumstances for VR in music videos. Q: There are videos made in 360 degrees and there are videos where you have to use a device like Oculus Rift. Are both considered VR or what is the definition of VR? Q: What are the requirements for making a VR video? Does it take advanced technical equipment? Q: What is the difference in production cost between a normal music video and one made for VR? Q: Can you describe the process behind the making of The Donnies The Amys video? Who came with the idea to make it in VR and who did what during its creation? Q: VR allows for interactivity and makes the experience of watching the video different from person to person. How much discussion and consideration about viewer behavior was there during the making? Q: Do you have other VR music video projects going on? Q: The logic of making money on music videos is different from the gaming and movie industries. What is the music industry’s perspective on putting money into music videos? Q: VR makes it possible to experience music in a greater way than normal music videos. One thing is creating the feeling of being at a concert. Do you know of other ideas that have been discussed concerning VR and experiencing music? Q: I understand that much is happening around VR right now. What do you think we can expect in the development of VR videos? After hearing Morris Mays answers, it’s evident that we are living in an exciting period of VR-development. There is of course the question of how big it will be in music videos. But music videos is an area for experimenting and artistic freedom which makes is good for trying out new technique. Anyway the wind blows, VR has given a new dimension to music videos and we will see fascinating stuff ahead. I met VONAVI (Andrei Ivanov) a few years ago through Vimeo. We eventually became good friends, and an opportunity to collaborate occurred when he finished his first album and asked me if I would like to direct a music video for one of his songs. I listened to the full album and found “Sunburst”, which is a powerful, beautiful, cinematic track with so many textural sounds and sections merged to craft a story. The music video was inspired by a homeless man I encountered on the streets of New York City…..